As many as 35,000 elementary school students learned how their favorite breakfast foods arrive on their plates during a two-week celebration of agriculture. 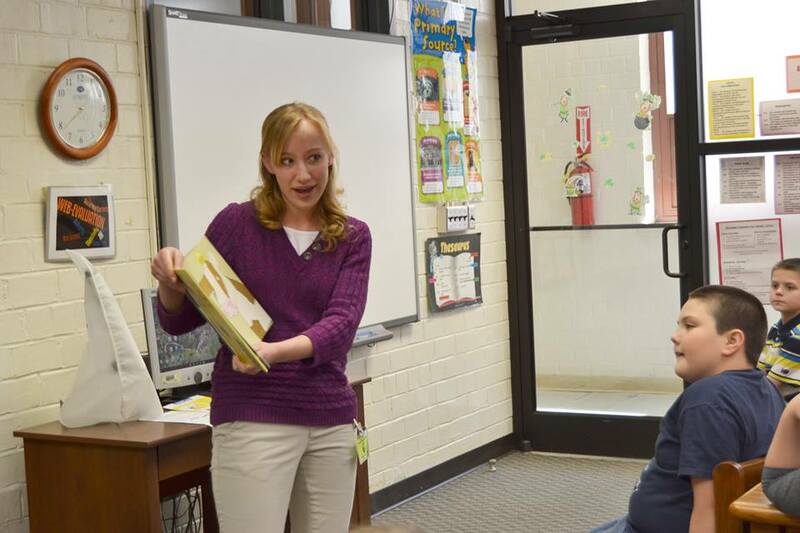 About 950 volunteer participants in Virginia’s sixth annual Agriculture Literacy Project visited 1,500 local classrooms and libraries between March 14 and March 31. Many of them read The Cow in Patrick O’Shanahan’s Kitchen, a children’s book by Diana Prichard that was named the 2016 Virginia Agriculture in the Classroom Book of the Year. Some of the readings coincided with National Ag Week, which was celebrated March 14-20. That observance encourages Americans to understand how food and fiber are produced; appreciate the role agriculture plays in providing safe, abundant and affordable products; and value the essential role of agriculture in maintaining a strong economy. Volunteers from 80 county Farm Bureaus, along with FFA chapters, 4-H club members and employees of Farm Credit, Southern States Cooperatives, soil and water conservation districts and the Virginia Department of Agriculture and Consumer Services read at their local schools. They also donated 1,783 copies of the Book of the Year to classrooms, schools and local libraries. The Agriculture Literacy Project previously was known as Agriculture Literacy Week. Virginia Agriculture in the Classroom expanded the program to two weeks due to its popularity and increased demand for volunteer readers. Virginia AITC is part of a nationwide effort to help teachers and students understand and appreciate agriculture, which is Virginia’s and the nation’s largest industry. For example, she said, Charlotte County volunteers said children asked why cows moo, and they wanted to know why there are no baby chicks in the eggs purchased at grocery stores.